Though the risk may exist year-round, this Watch Your Step Pallet Warning for Fall weaves its notice into the Season with a leafy theme. This Corrugated Bulk Bin could offer anything in keeping with Fall but elects to display Pumpkins. Once depleted, it could be restocked with anything … gourds, corn stalks, maize. 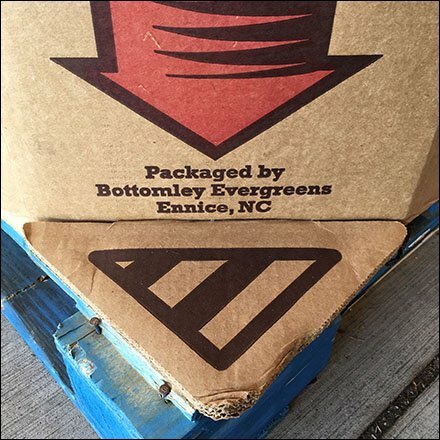 A tip-of-the-hat to Bottomley Evergreen, the Ennice NC packager on an artful warning.